Add seasonal bling with Pots of Color! 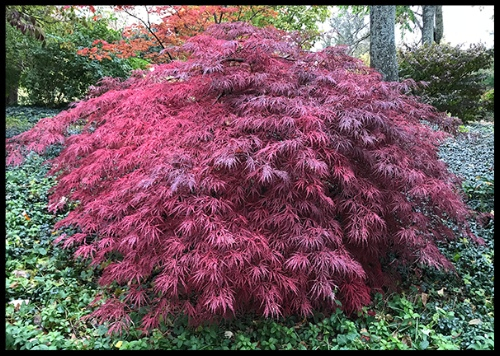 Weather Shield– protectant spray to seal the leaves and minimize winter desiccation, helping to keep your plants healthy. Deer Repellant- discourages foraging deer from winter browsing. 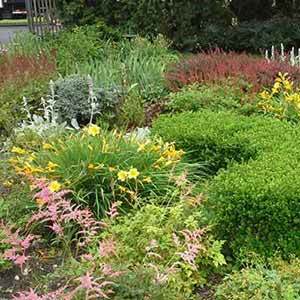 Winter Pruning- renovates overgrown, thick, or poorly shaped plants- resulting in better form, hardiness, and vigor. Add some bling this winter! Embrace the season with Pots of Color around your home and work. Let Broccolo Garden Center’s talented Jeannine Fyfe design & build you a unique seasonal planter to add pizazz this season! $125 each / Delivery $25. 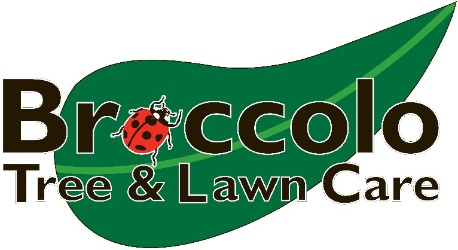 Broccolo Tree and Lawn Care received the “Best Lawn Care and Landscape in the Finger Lakes Region” award earlier this month. 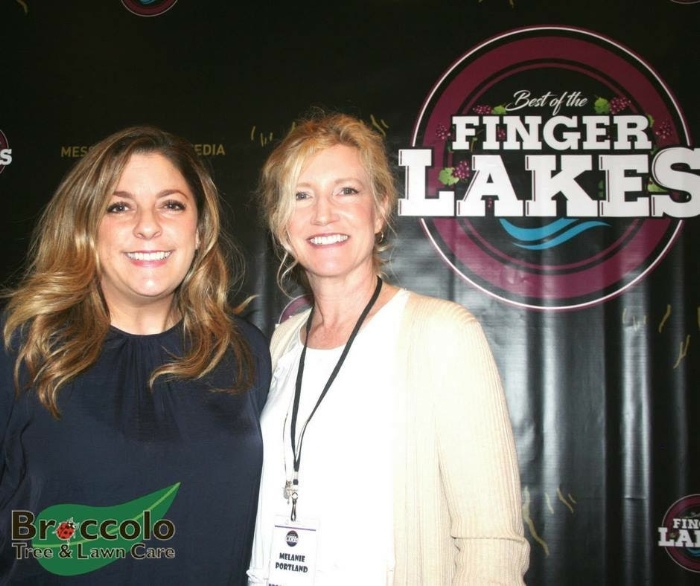 Sales Manager, Jessica Demasio and Marketing Director, Melanie Portland accepted the award. Recognizing exceptional businesses throughout the region in more than 150 categories, the Messenger Post Media received more than 118,000 votes from their readers. Thank you! 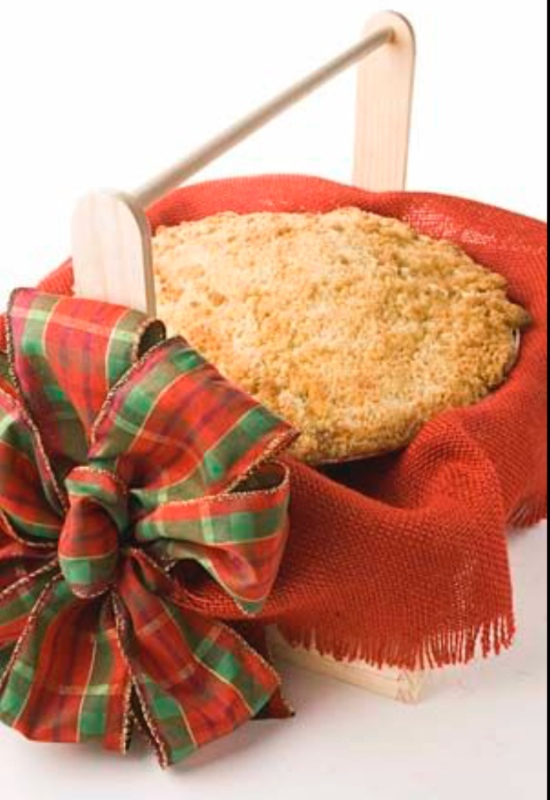 Make Broccolo Garden Center your Holiday Pie Depot! at [email protected] by 3 PM Thursday, Nov. 30. Special Touch Bakery Creative Crates make a great holiday gift. 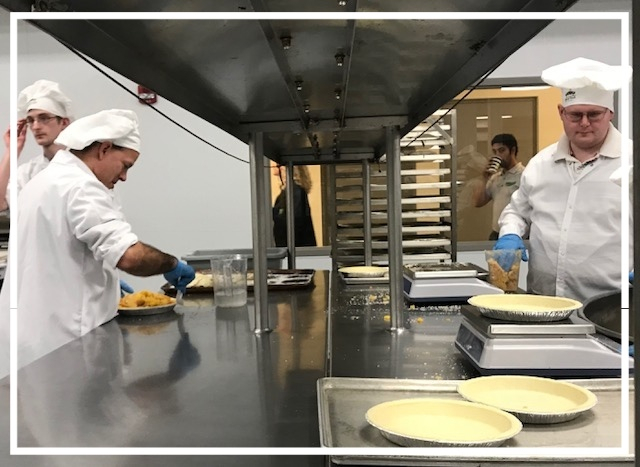 Your pie is placed in a wooden crate handmade by the adults in Holy Childhood’s Woodworking Program and the bow is beautifully designed in Skills/Transition/Day Habilitation Program. You may pick up your Creative Crate at Holy Childhood ($29) or have it delivered ($34).